U.S. stocks wobbled on Monday as investors weighed the possibility of the U.S. and China striking a deal to end the ongoing tariff war. 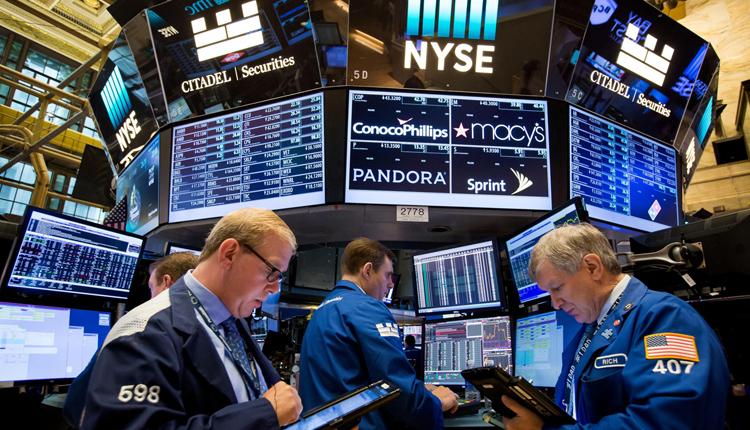 The Dow Jones Industrial Average closed 53.22 points lower at 25,053.11, giving up an earlier gain of 90 points. The S&P 500 ended the day up less than 0.1 percent at 2,709.80 as gains in the industrials sector were capped by losses in health care and communications services. The Nasdaq Composite closed 0.1 percent higher at 7,307.90. “We’re almost at a waiting point trying to assess whether what is the likelihood of a trade deal,” Schutte said. U.S. and Chinese officials will continue trade talks this week with a focus on intellectual property. “The United States is a great producer of technology, and innovation, and know-how, and trade secrets. And we have to operate in an environment where those things are protected,” U.S. Trade Representative Robert Lighthizer said last week.